Our signature, super-tasty Amaz!n Prunes are nature’s perfect way to feel good with nutrition and delicious taste. 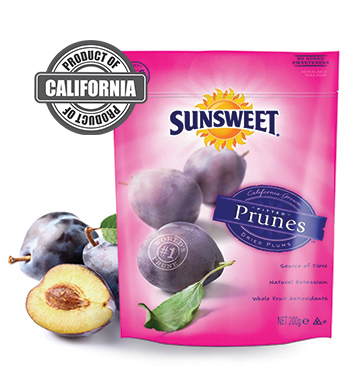 Amaz!n Prunes offer fiber from whole fruit, with only 100 calories per serving. 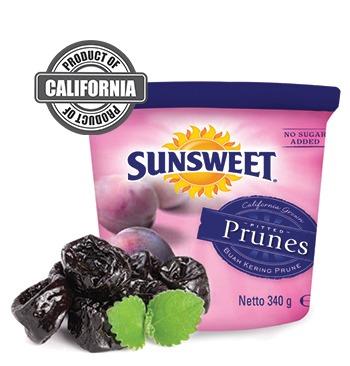 Prunes also have a low glycemic index, which means they keep you feeling full longer. Learn more about Amaz!n Prunes. Available in 340g Canister. Our signature, super-tasty Amaz!n Prunes are nature’s perfect way to feel good with nutrition and delicious taste. 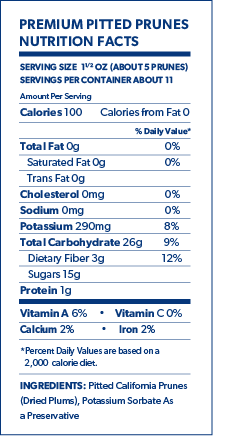 Amaz!n Prunes offer fiber from whole fruit, with only 100 calories per serving. 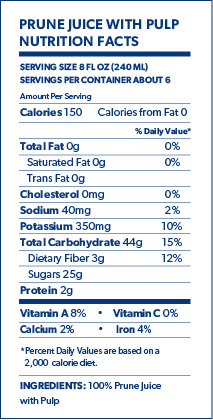 Prunes also have a low glycemic index, which means they keep you feeling full longer. Learn more about Amaz!n Prunes. Available in 100g & 200g re-sealable bags. 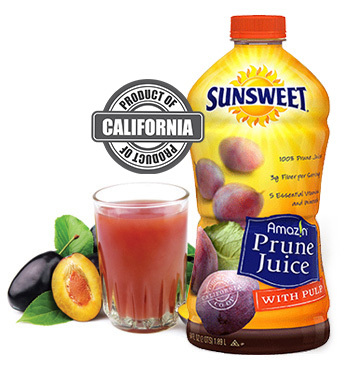 Each delicious serving of Sunsweet Amaz!n Prune Juice is a natural source of fiber and provides 5 essential vitamins and minerals to help balance and maintain good digestive health to help you feel your best. Available in 16oz (473ML) & 32oz (946ML). Our same delicious Amaz!n™ Prune Juice, but with all the hearty goodness of pulp from the fruit. 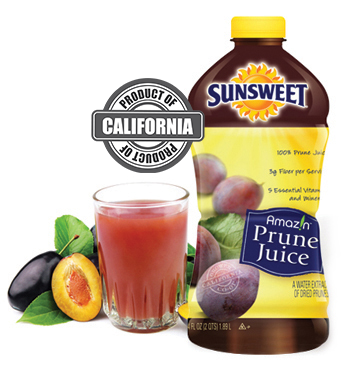 Enjoy a glass today and see why so many people count on Sunsweet® Amaz!n Prune Juice. Available in 32oz (946ML). 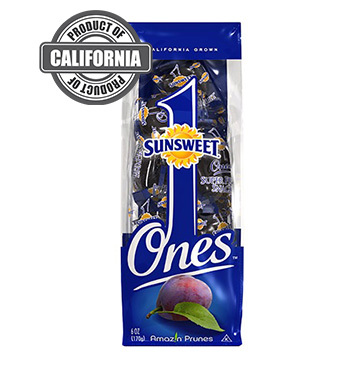 Individually wrapped and delicious, our Ones Amaz!n™ Prunes are moist, juicy and full of nutritious goodness. Pop a few into your car, purse, or lunch – your taste buds and body will thank you.